Paris Saint-Germain star Neymar has dismissed rumours linking him with a move to Barcelona or Real Madrid, despite admitting that he has found it difficult to adjust to life in France. 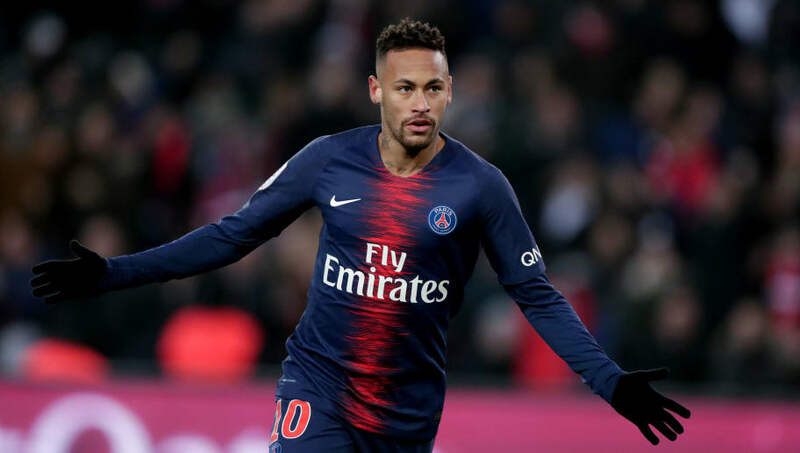 The Brazil international arrived at the Parc des Princes in 2017 in a world record €222m move from Barcelona, and has been in prolific form for the French giants this season. Having spent nearly 18 months in the French capital, Neymar admitted that he initially struggled to adapt to the city, but now considers PSG his home. Speaking to ​Canal+, he said: "Adapting to Ligue 1 was easier than I expected - it was more straightforward because it resembles ​La Liga a lot. "I had a bit of difficulty adapting to the city and I suffered a little. Now I feel at home." Despite growing speculation in recent weeks that Neymar desires a return to Spain to either ​Real Madrid or ​Barcelona, the 26-year-old was quick to play down the links, and insisted that when something became 'concrete', he would let people know. He added: "There is always speculation about me. Since I became a professional football player, there has been speculation that I was going to leave one club for another - not always concrete. "As soon as something is certain, rest assured I will speak with everybody." Under new manager Thomas Tuchel, Neymar has enjoyed a blistering start to the campaign with 13 goals in 13 games in Ligue 1, and a further five in the group stages of the Champions League.